•	Affiliated with organizations such as the American Society of Heating Refrigeration Air Conditioning Engineers (ASHRAE), Building Owners and Managers Association (BOMA), Canada Green Building Council, Canadian Healthcare Engineering Society (CHES), Construction Resource Initiatives Council, and the Mechanical Contractors Association. Kube Solutions strives to maintain its reputation as an industry leader and through this partnership, we are confident that we can merge successful best practices, innovation, productivity and customer service. 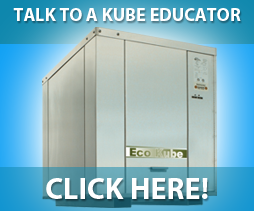 Jason Pillipow, Director of Engineering for Kube Solutions since 1995, continues his service in the geothermal system design and applications with Kube. To learn more about this partnership or to answer any of your questions, please contact us at the above number. For 24 hour service, 7 days a week, call Atlantica Mechanical at 902-468-2300.